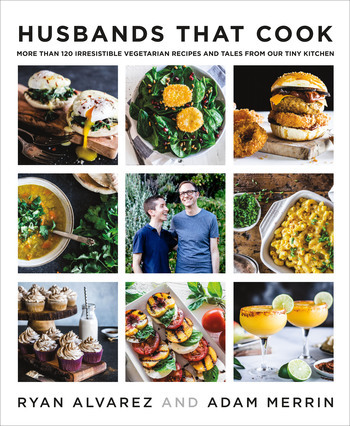 Gaby Dalkin says: "Adam and Ryan make vegetarian recipes that are not only delicious but they'll satisfy any meat lover too!" 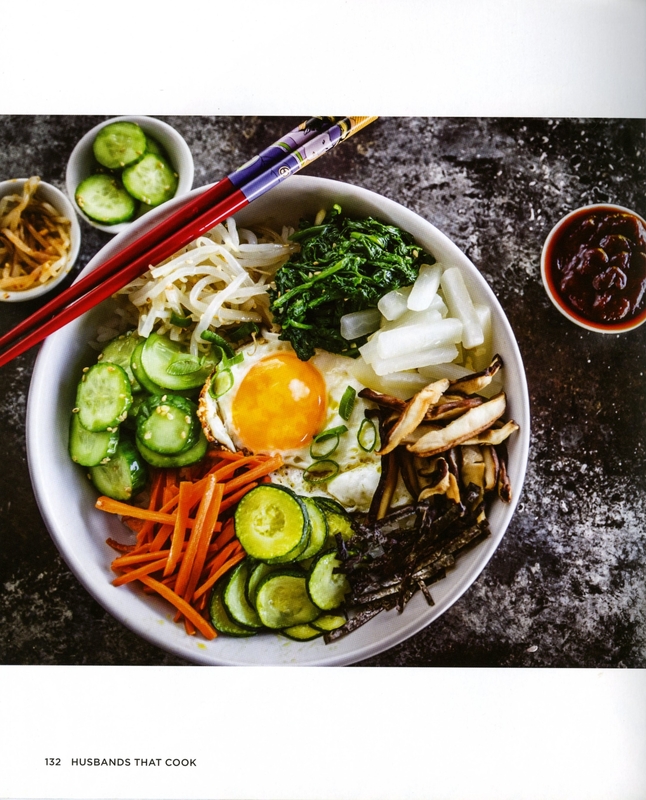 Molly Yeh says: "I love this book! It is truly impossible not to love Adam and Ryan and Husbands that Cook. 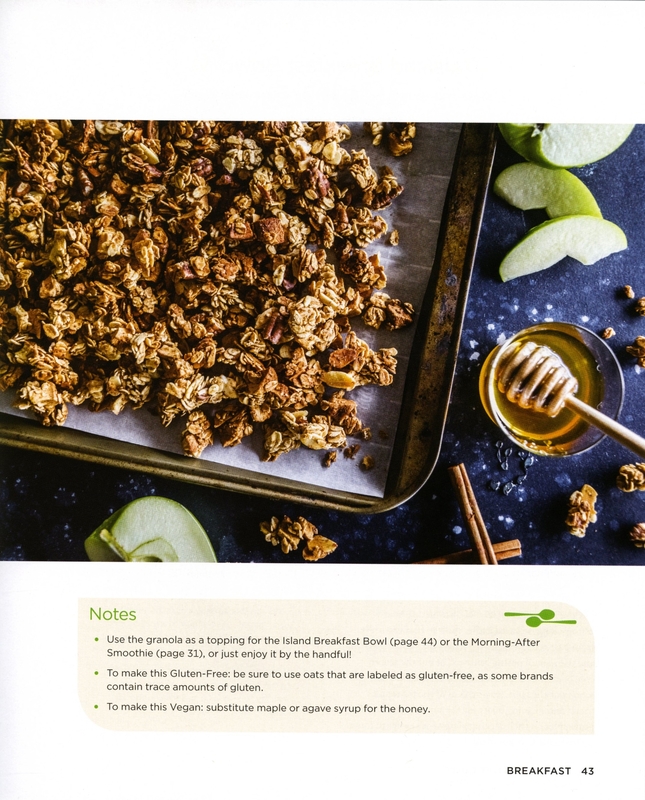 Between the giggle-worthy headnotes and wildly craveable recipes, this is a book that you will use again and again, and all the while feel as if you are cooking with two great friends." 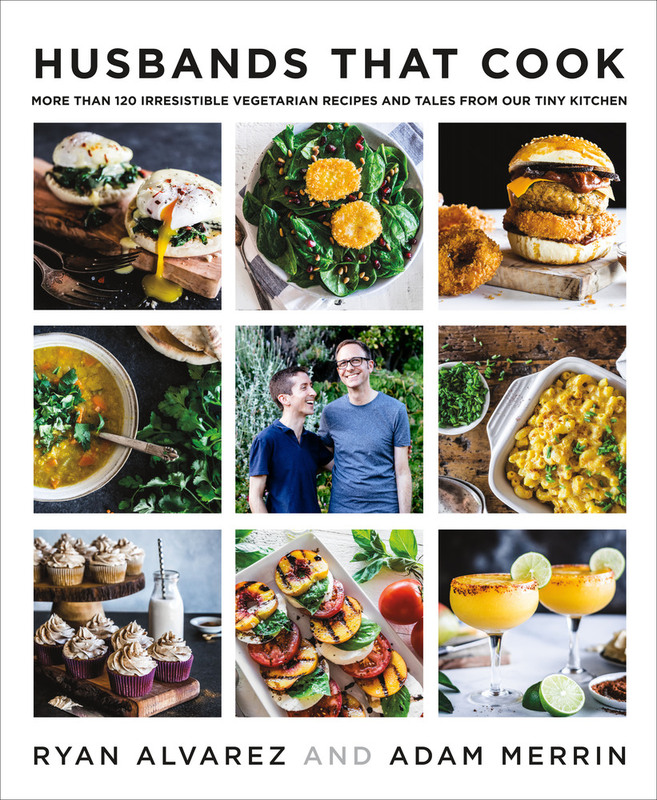 From the award-winning bloggers behind Husbands That Cook comes a book of original recipes inspired by their shared love of vegetarian food, entertaining, world travel—and each other. Food has always been a key ingredient in Ryan Alvarez and Adam Merrin’s relationship—and this cookbook offers a unique glimpse into their lives beyond their California kitchen. 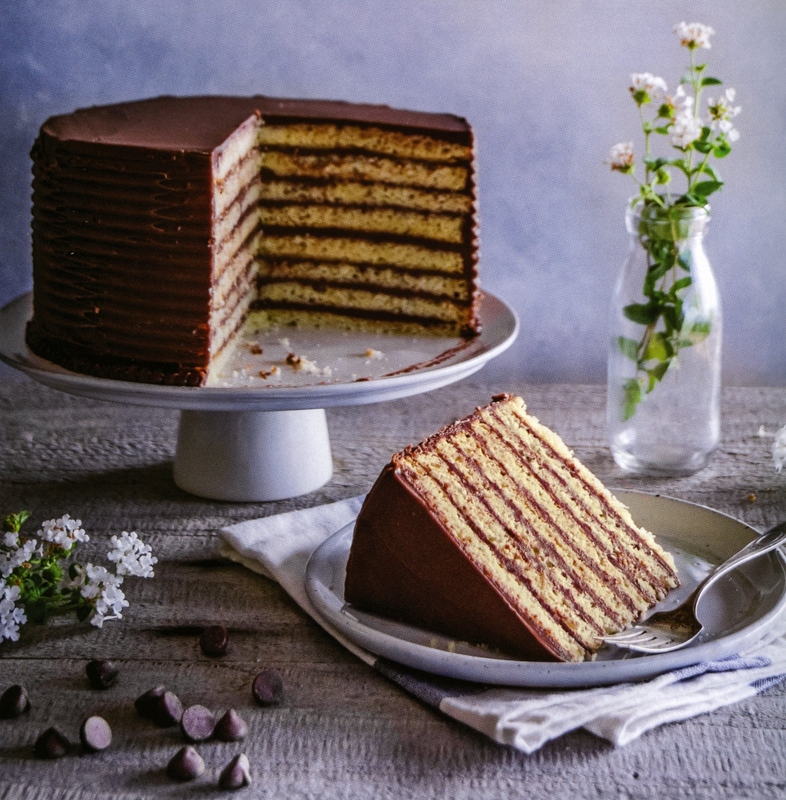 From their signature Coconut Curry with Chickpeas and Cauliflower, which was inspired by their first date at a shopping mall food court, to the Communication Breakdown Carrot Cake (which speaks for itself), these and other recipes reflect the husbands' marriage in all its flavor and variety. 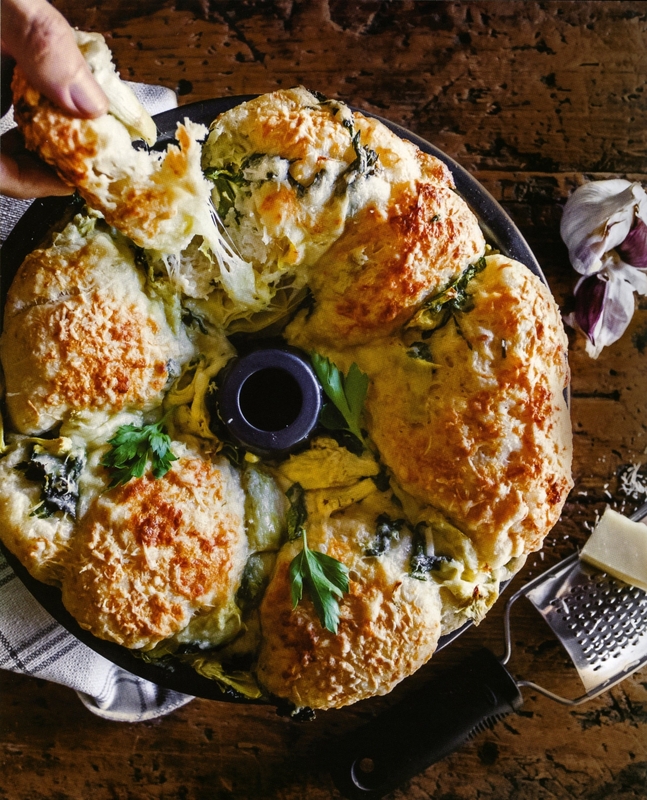 Written with the same endearing, can-do spirit of their blog, the husbands present more than 120 brand-new recipes—plus some greatest hits from the site—that yield delicious results every time. Each entry in Husbands That Cook is a reminder of how simple and satisfying vegetarian meal-making can be, from hearty main dishes and sides to healthy snacks and decadent desserts and drinks. Ryan and Adam also outline common pantry items and everyday tools you’ll need to fully stock your kitchen. 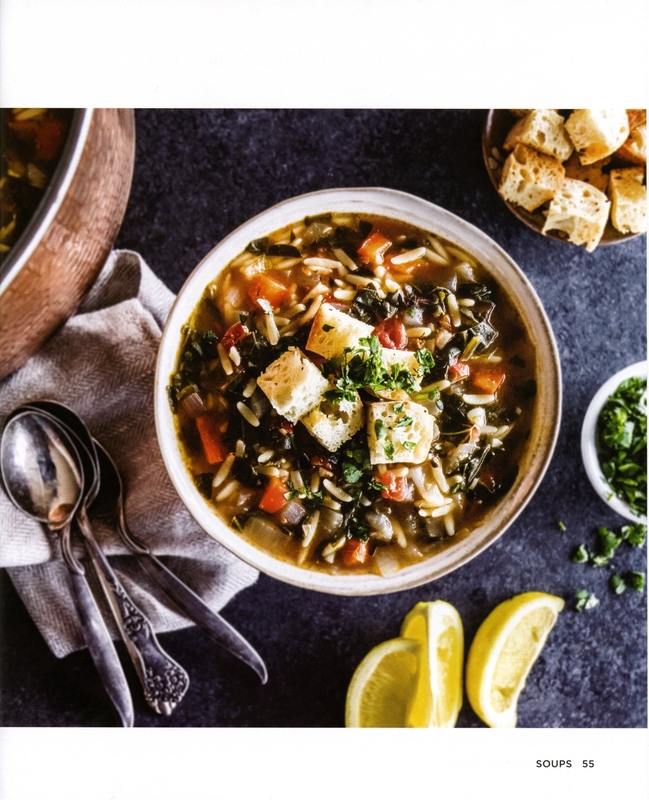 Whether you’re cooking for one or feeding the whole family, this book is chock-full of great creative recipes for every day of the week, all year long. 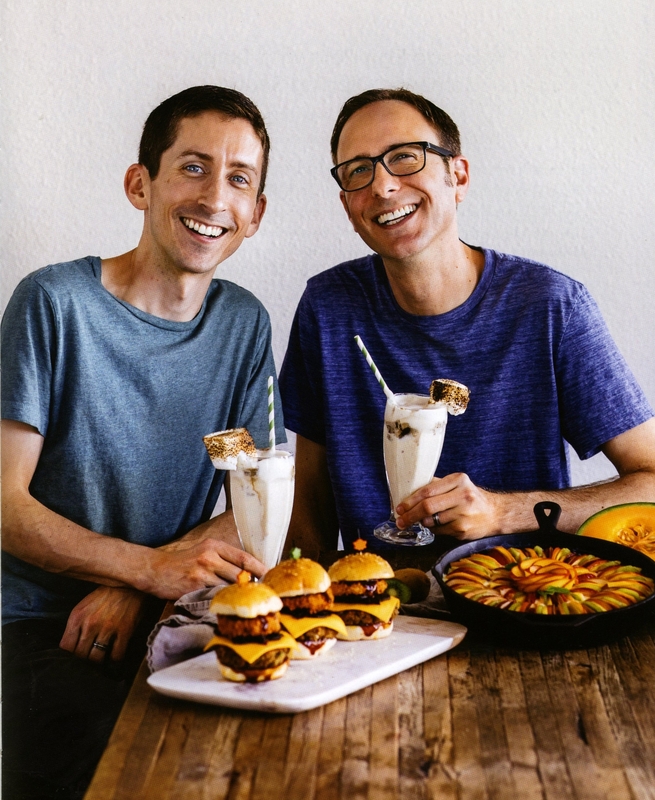 "Adam & Ryan’s debut cookbook is buzzing with super sweet recipes and personal stories. With clear instructions they simplify showstopping food that just so happens to vegetarian!" —Donal Skehan, author of Eat. Live. Go. Ryan Alvarez and Adam Merrin live in a house on a hill in Eagle Rock, California, with their cat, Sylvia. Since its inception in 2015, their Husbands That Cook blog was a finalist for Saveur magazine’s Best How-To Cooking Blog award (‘16) and a Taste Talks Awards Nominee for Best Food Blog (’17). In addition to their shared culinary career, Adam is one of the founding members of the indie-rock band The 88 and Ryan sings classical music and acts in TV shows and commercials.